Health queries, phone and virtual consultations? Yes. Posting a health query on a mobile or through the internet is the easiest way to get an expert answer. The basic etiquette’s of asking a health query is simple. i.e. age,gender,past issue, current issue has to be posted in the order for a health expert to answer. The reply for the health query can be followed up for subsequent answers there by getting solutions. Phone consultations offer absolute privacy to the doctor and patient as our system automatically connect them in a unique voice conference. 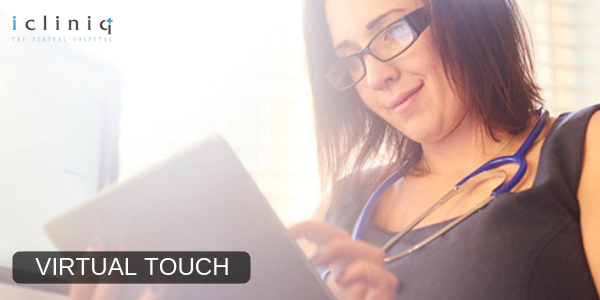 Virtual consultations (Online doctor consultation) can be done with a doctor to get the health issues addressed as well as that offers a face to face interaction. Also Read : Should I give Meftal-P if fever persists even after P-250? Well. When health queries and virtual consultations are done with accredited doctors or health experts,it’s definitely safe. Also checking whether the medium i.e. the portal where queries are asked should be checked for Security Certificates. It’s estimated that 70 percent of primary health care issues can be solved through this medium. This number is certainly better than zero percentage and not getting issues addressed. Of course this is not definitely an alternative for real time consultation. But a mitigation to overcome the time/travel problems and chaos to meet a doctor. How can a doctor be part of this revolution? “Doctors can simply register online in our portal to be part of a healthcare revolution” says Dhruv. Also the doctor can build their own virtual hospital which has get practise management solution viz. SMS appointment reminders, Own website, Personalized query management system, Health records,Billings, Database management and much more can be done with icliniq. There are companies who sell this software at a very high cost. But in reality it can be sold at a very low cost and also saving the cost of storage by storing everything with the software vendor itself. Also Read : Is it advisable to give P-250 and Amoxicillin for fever to 3 years old child? Q: What is the dosage of Meftal P for 5 years 10 months old kid with fever? Q: Is it safe to give Meftal-P and Ambrocof-LS to my infant to cure fever and cough? Q: When and at what dosage should Meftal-P be given for fever?